“You want it darker” was Leonard Cohen’s last album, released shortly before the great musician’s death. The album’s theme song is “Hineni” in which Cohen added extracts from the Kaddish prayer. In the dramatic peak he cries: “I’m ready my lord. Hineni! Hineni!” He passed away 17 days later, on November 7, 2016, at 82. This week, on the first anniversary of his death, a new display opened in the Museum of the Jewish People in Beit Hatfutsot, presenting this chilling song, Leonard Cohen’s last farewell prayer. “Hineni” appears over 250 times in the bible. Almost every biblical character utters “Hineni” to God: Abraham, Moses, and many others. One of most profound interpretations to the word “Hineni” was suggested by the Jewish philosopher Martin Buber (1878-1965). 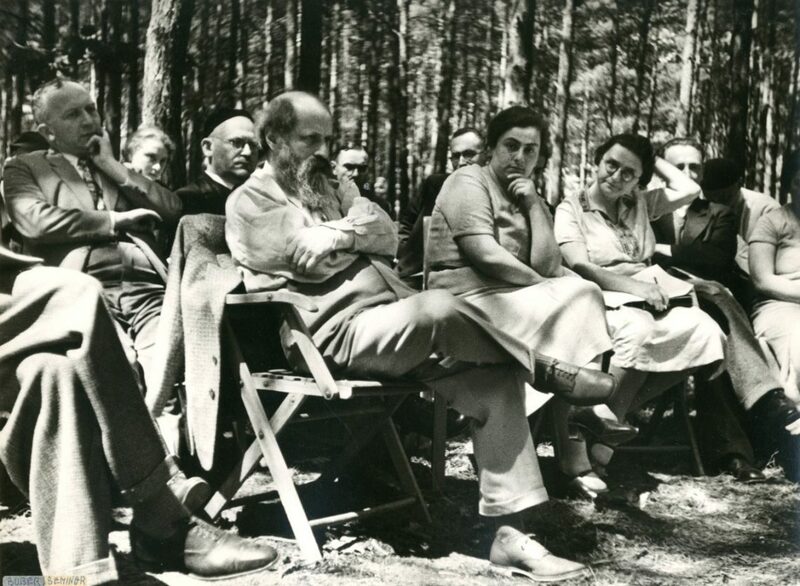 A Zionist Jew of German origin, Buber managed to escape Nazi Berlin at the last moment (1938), and came to Israel, where he lectured at the Hebrew University in Jerusalem. His biblical appearance and magnetizing charisma soon made him a spiritual leader followed by a large group of admirers. Along with Gershom Scholem and Judah Leon Magnes, Buber was active in the “Brit Shalom” movement that wished to establish one bi-national state. In honor of his contribution he was awarded the Israel Prize in 1958. The work that granted him world reputation was the successful book “I and Thou”, which introduced an innovative metaphorical view of God’s identity. According to Buber, God is the eternal “Thou”. In simpler words: he is the annoying neighbor upstairs, the friend or colleague, the woman who cuts in front of us, the waiter and the beggar in the street. Buber demonstrated how every time the cry “Hineni” is heard, there is a dialogue between two entities, whether God and a human, or two humans – a dialogue none of the sides is able to avoid. Buber claimed that God – the “Thou” – represents our responsibility towards the other, whose mere existence forces us to converse with them, to relate to them, to answer their call: “Hineni”, thus saying: “here I am for you, I am ready to start a dialogue”. Unlike today’s “I”, adopted by the selfie generation, Buber’s perception is “Hineni”, expressing connection with our fellow men and women. Between Buber’s “hineni” and today’s “I” – there lies a great chasm – but should you shout loud enough into it you may hear a deep echo – that would be the wonderful resonant bass voice of Leonard Cohen.